Each candlestick is individually hand machined from a bar of pure solid brass bar, each one hand polished to a wonderfully mirrored finish. Designed in collaboration with our good friends at Pure Brass. Each candlestick is individually hand machined from a bar of pure solid brass bar, each one hand polished to a wonderfully mirrored finish. 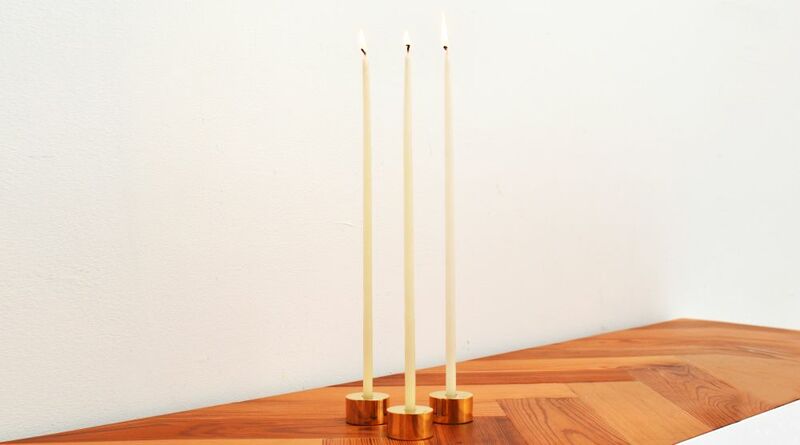 The candle holders are sold in a set of 3 and are supplied with thin taper candles.